Make sure you have this date in your diary, we are holding a Quiz night at Congleton Rugby Club on Friday 14th July 7.30pm. Rehearsals and Preparations are now well underway for the Players next production in October 2017 to give it it’s full title is “The Farndale Avenue Housing Estate Townswomen’s Guild Dramatic Society Murder Mystery”. Entitled “Murder at Checkmate Manor”. 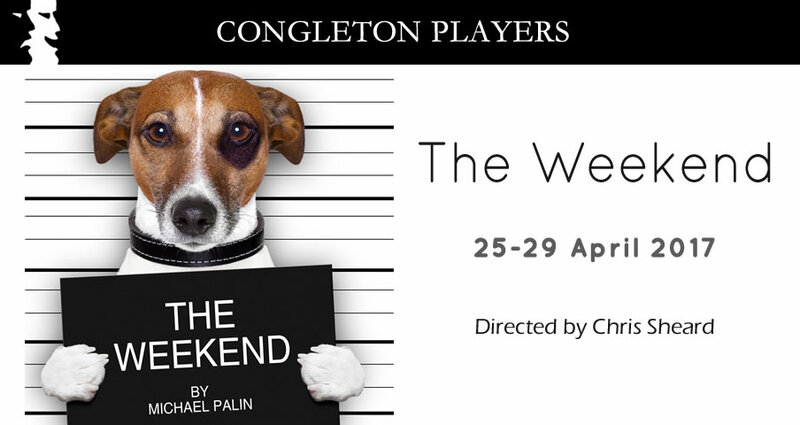 If the laughter is anything to go by when we did the read thro earlier this week then the Congleton audiences are going to love this. Very funny play. Watch out for further announcements. Congleton Players are proud to announce that entries are now being invited for next years One Act Play Festival. Budding playwrights have until 30th November 2017 to submit their one act plays. Once again Congleton Players are proud to announce their choice of three exciting plays for the 2016/17 season at the Daneside Theatre. “The Weekend” by Michael Palin. 25 – 29 April 2017.